Soundwaves Chorus will meet at 12:30 for a performance at 1:00. 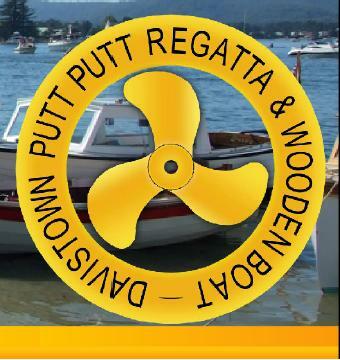 Mark this date off in your diary and don’t miss the running of the 2018 Davistown Putt Putt Regatta & Wooden Boat Festival. Come along for a fun-filled family day with spectacular on-water activities on display as well as almost 100 food and general stalls and entertainment for the kids. Live acts on stage all day from 9:30am with talented local performers. The big event of the day! The flotilla of putt putts led by the NSW Maritime around the Brisbane Water. This year, to assist with wash from spectator craft, a fleet of 6 vessels from Anderson's Boat Shed will support the flotilla as it proceeds in front of gathered spectators at 11.15am returning to the Davistown waterfront at approximately 12.30pm. Soundwaves Chorus will be performing about 1:00pm.